The LuEsther T. Mertz library just received new additions to our circulating children’s collection! The titles featured below are available for check out to NYBG members with library cards. Hope to see you in the library! 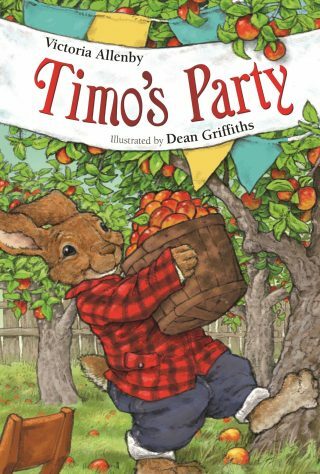 Timo’s Garden and Timo’s Party are wonderful options for young readers who are transitioning into chapter books. Each chapter is accompanied by colorful and detailed illustrations helping readers follow character and plot. Both of these titles provide just the right amount of excitement and suspense to keep readers engaged. Timo and his friends are sure to become favorites! Timo decides to enter his garden into the Green Garden Tour schedule. 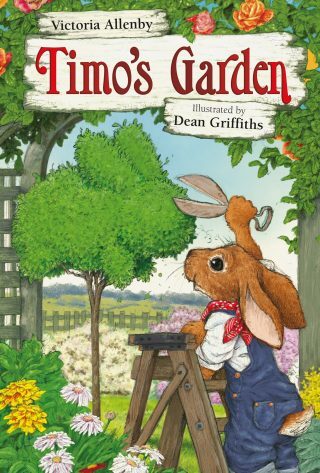 With little time to complete his chores and changes, Timo cancels all of his plans to focus on making his garden great! As he hits obstacles along the way, Timo does not believe he’s prepared for the Green Garden Tour as much as he would like to be. Just when his moral is at its lowest, Timo’s friends show up unexpectedly to offer help! Together they achieve the great garden that Timo had envisioned. It’s autumn and the town of Toadstool Corner is expecting a visit from a famous food critic, Madame LaPointe. Since Timo’s friend Hedgewick aspires to become a well-renowned chef, impressing Madame LaPointe will lead to national recognition. Though Timo dislikes hosting parties and large crowds, he offers to host an Apple Orchard Festival for the town and their special guest in his orchard. Timo and Hedgewick have a lot of work to do! Hedgewick cooks all things apple while Timo plans the rest. All of Timo’s worries fade away as the Apple Festival takes off and all of the guest enjoy the food. When Madame LaPointe publishes her review, Timo, Hedgewick and friends celebrate their success. My Tata’s Remedies is an English-Spanish bilingual narrative that shares various healing practices that use plants. Tata has been healing his family, friends and neighbors for many years and his grandson is eager to learn Tata’s healing wisdom. As patients flow in and out of Tata’s house, his young grandson is tasked with assisting him. Each ailment is treated with herbs, plants and teas, introducing readers to natural medicinal remedies. Though it will take practice to learn the plants and herbs used in healing, Tata’s grandson already knows “A loving grandfather is a magical cure.” The glossary of plants at the end of the story offer up additional information about each plant mentioned throughout the narrative. 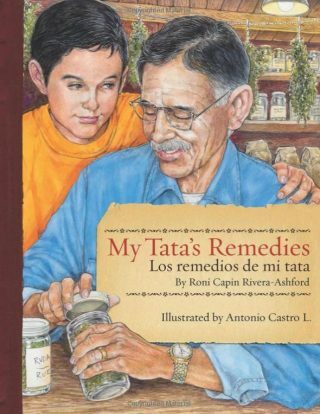 My Tata’s Remedies is a perfect read for comfortable readers who are interested in the rudimentary healing properties of plants. 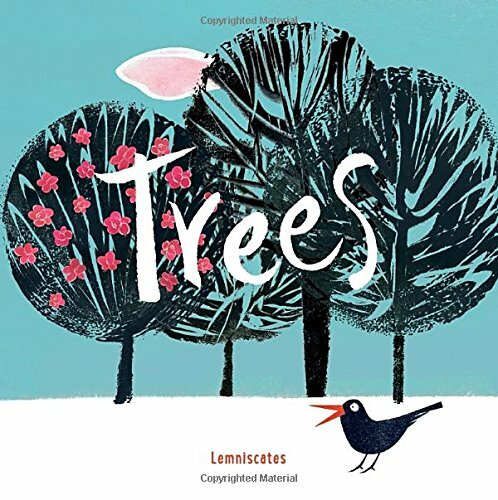 Trees is a small and colorful book with little text but a solid message: Trees are wonderful! Trees are wonderful for many reasons during every season. The pictures on each page highlight the various roles trees play in the environment. Whether they are providing shade, sharing its fruit or filtering the air, trees are remarkable beings. The mixed media collages add texture and depth to simple imagery. The youngest of readers will be engaged by the bold imagery and easy flowing narrative. Additional titles new to our collection!